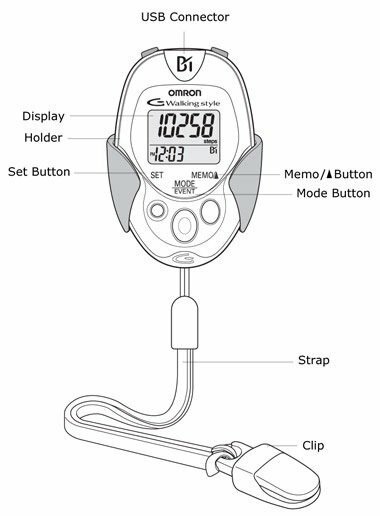 The Omron HJ-203 is the perfect device for any casual athlete. The device does everything that an activity tracker should do and does not take a major dent on your pocket. 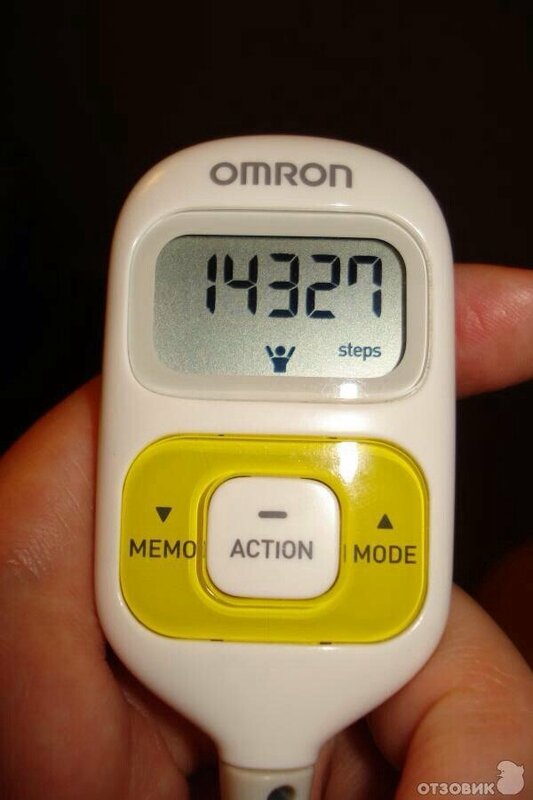 The Omron HJ-203 “Walking Style” is a two dimensional activity tracker by the famous Omron Healthcare company. The company is known for their top notch fitness equipments and the HJ-203 is certainly one of the best in market. The product is very small, easy to carry and weighs just around 19 grams, the weight of an average bar of candy. The HJ 203 records your activities and maintains a detailed analysis of your physical actions. The device can track your steps, measure distances and count your calories burnt. The device runs on a 3V Lithium ion battery which gives an amazing backup. The device comes at a very reasonable price and would just cost you $21.95 on Amazon. The device doesn’t take form of a wrist watch unlike most of the activity trackers today. It is smaller than a credit card and can be comfortably placed in any pocket without losing any of the functionalities. The device can be clung to your body or clothes with the provided strap and clips. It can also be attached to a lanyard and be worn around your neck. The LCD display is crisp, bright and has easy to read bold letters. The three buttons on face of the device (memory, action and toggle) helps to navigate between modes and allows you to start and stop recording your stats. Before the HJ-204 starts recording your activity, you first have to set it up, which is quite easy. Simply enter your height, weight, age and calibrate your average stride length. The easy to understand user manual really helps understanding the product better and you should make the most of it. Once set up, the HJ-203 would start recording your steps taken, distance covered, calories consumed, and fat grams burned. The 2D motion sensor on device records every motion very accurately. The device uses an acceleration sensor called the Smart Sensor. The technology knows exactly when you are in motion and can filter steps from irregular movement. The HJ-203 does not blindly record your stats, but you can program it to record certain activities by toggling between modes. The “Workout Mode” records almost everything that the device can. The “Event Mode” lets you record and store measurement values for a certain walking event. The values recorded in event mode are displayed separately and are stored for each day. When no button on device is pressed for five minutes, the “Sleep Mode” is activated. The display stops showing any information to save battery but the device still keeps accurately recording your stats. Any button can be pressed to activate screen again. 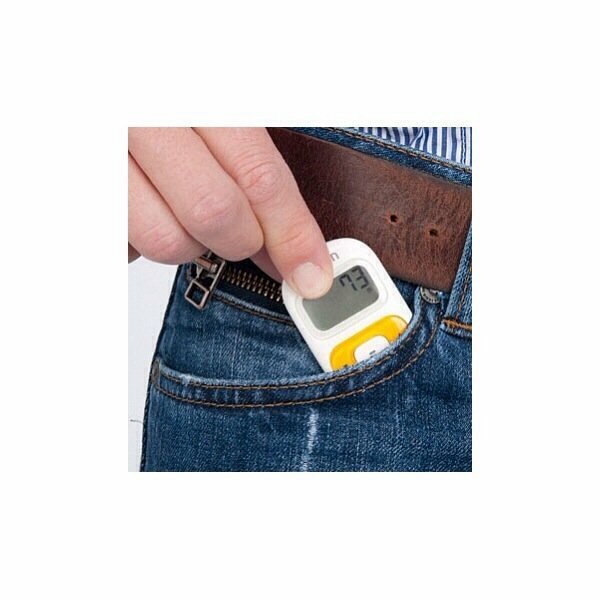 The device comes with a healthy memory and can keep a record of your last 7 days’ data. There is also a standard 12/24 hour watch on board, with alarm and Stopwatch functionalities. The HJ-203 is very durable and robust. The device can operate normally in extreme temperatures from (10 degree to 104 Degree Fahrenheit). The device however is not water resistant or at least hasn’t been declared water resistant by the company so extra care should be taken to protect it from moisture. And to compensate for that, the battery life on this device is amazing; you can walk 5 miles every day for a year without ever worrying about the battery. We were pretty amazed by accuracy this device exhibited. Even a premium flagship device cannot display results more accurate than this. Moreover the device records and analyzes all data that is essential for you to train and maintain your fitness. You will never even feel the device in your pocket as it is smaller and lighter than a credit card. According to Burntech, this might be the best (Casual) fitness device available on the market.